There are a lot of people that have been told that laminate flooring is the way to go. The thing is though, this type of flooring is never going to be the better option when you have the option of legit hardwood flooring. 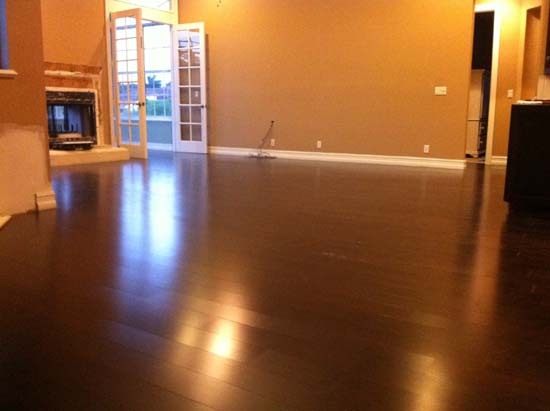 If you are in the process of renewing your floor, or even just thinking about it, then you are apparently in a position where you want to make your home look nicer. Maybe you just want a more comfortable place to live. Maybe you are trying to sell your home. Another thing to remember is that the laminate will last only a couple of years, if that, before it starts to show signs of wear or shifts in a manner to where you have cracks in the flooring. The hardwood floor will last you for the rest of your home ownership.